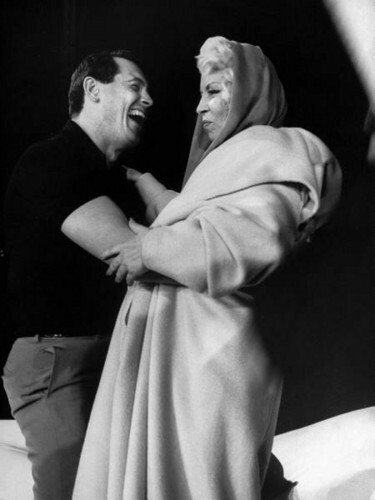 Rock Hudson & Mae West. Rehearsing for the 1958 Oscar show. Rock looks like he's having a baleia of a time! <3. Wallpaper and background images in the filmes clássicos club. This filmes clássicos photo contains traje de passeio and terno de negócio.